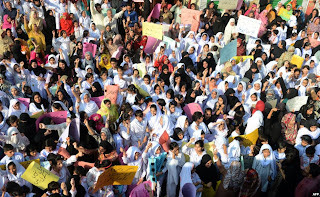 Irtiqa: Two Pakistans: So who is for burning girls schools and who is against? 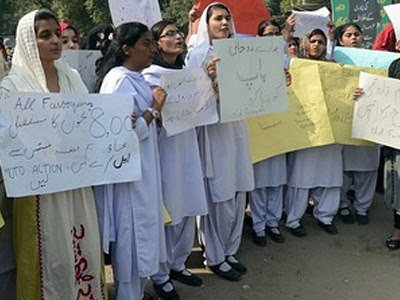 Two Pakistans: So who is for burning girls schools and who is against? [This post is related to the blasphemy case involving Farooqi Girls High School. Please see this earlier post here]. I remember newspapers carrying two almost identical pictures and then asking people to spot the difference. The difference of course was hard to find - but it was there. To make it easy for you, here is an opposite case. The two pictures below are protesting about the same school in Lahore - but they are polar opposites (in more than one way). Lets see if you can spot the differences. Let me give you another hint: One group wants to burn a school and the other one wants to go to the very same school. Can you identify that group? These are both Pakistans. 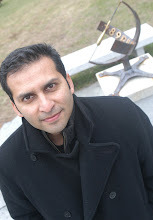 The question is which Pakistan will prevail? For which Pakistan are we willing to speak up and stand up? It cannot simply be about religion - as we can see that one side has beards (though not all) and the other side is also wearing doputtas and hijabs. On October 31, a young girl Maryam, clad in a shalwar kameez and headscarf, looked down from the roof of her house located across the Farooqi Girls High School in Lahore, as protesters vandalised the school where she studied in grade three. 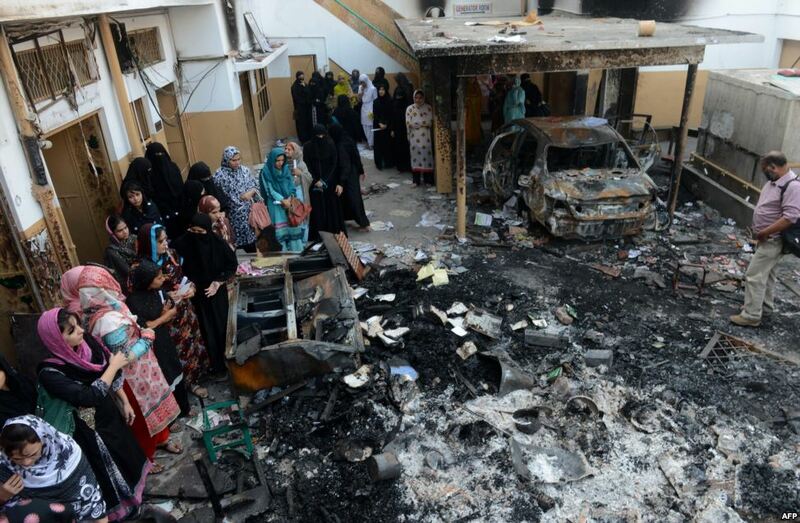 “We won’t be going to school for sometime Ami says,” she said to me, as the mob set fire to the school, where just a day earlier she had attended classes. Located in a densely-populated area near Kareem Park, the school had been providing education to girls up to grade 10, with most of its former students now sending their children to the same school. 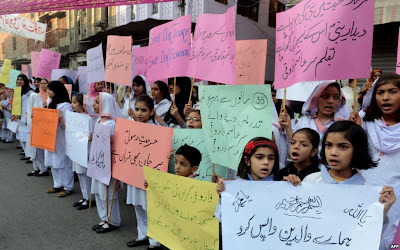 Owing to the nature of the blasphemy allegations levelled against the school administration and a sixth grade teacher, emotions of the protesters were high that day. These charges stemmed from comments allegedly written by Iftikhar in a class 6 student’s notebook while checking a homework assignment to translate a passage about the Holy Quran and the Holy Prophet (pbuh) from English to Urdu. Photocopies of the offending page were being handed out at the protest. As I talked to the protesters, I realised they had, it seemed, made up their mind. The verdict was out: the school was not to function there any longer and the protesters were not willing to wait for the outcome of legal investigations which had been initiated by the police. Eventually, after having thoroughly demolished the school, the protesters calmed down, following intervention by a few elders of the area allowing the police to return. But amidst the unrest, what was most disturbing was the helplessness with which local residents looked on as the mob vandalised and destroyed a 30-year-old school in front of their very eyes. 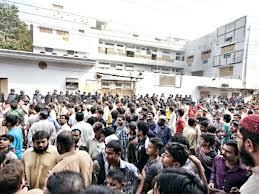 Matters of faith are, indeed, sensitive but does that justify the mob’s actions against the school? If no, why did this happen? If yes, then can somebody please tell Maryam where she should now study? I failed to answer her query.